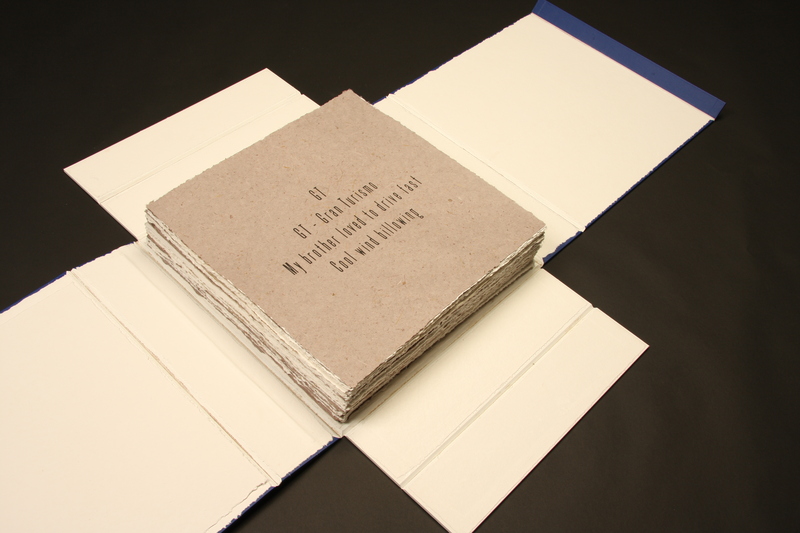 This box contains 98 screen prints, as depicted in other details, portraying one Scrabble game. The title of GT derives from the letters left over at the end of play. The title page, GT, contains a haiku ~ a short narrative form chosen as much for its brevity as for its syllabic formula of 5-7-5, for a total of 17 syllables. Succinct and obtuse at the same time, this mimics the words played during a game of Scrabble.